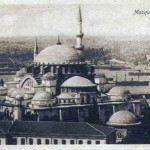 An important piece of the Istanbul skyline, the Süleymaniye Mosque was built between the years 1551 and 1558 upon the orders of Süleyman the Great. 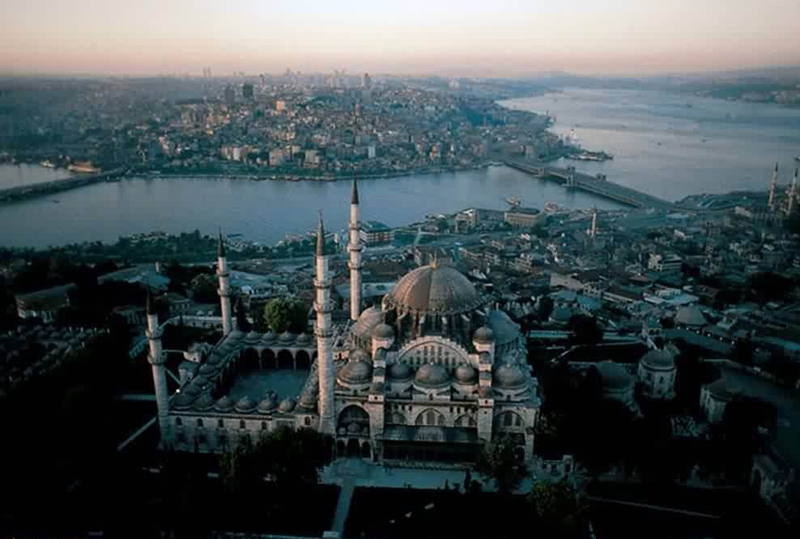 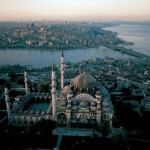 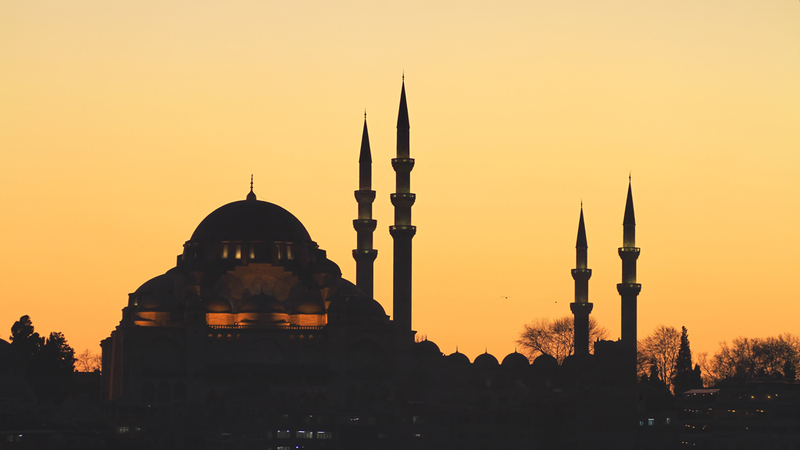 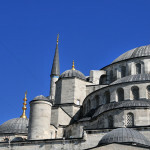 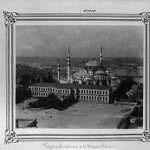 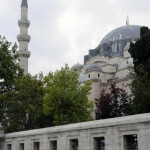 A distinctive feature of the Istanbul’s skyline, the Süleymaniye Mosque (Turkish: Süleymaniye Camii) was built between the years 1551 and 1558 upon the orders of Süleyman the Great. 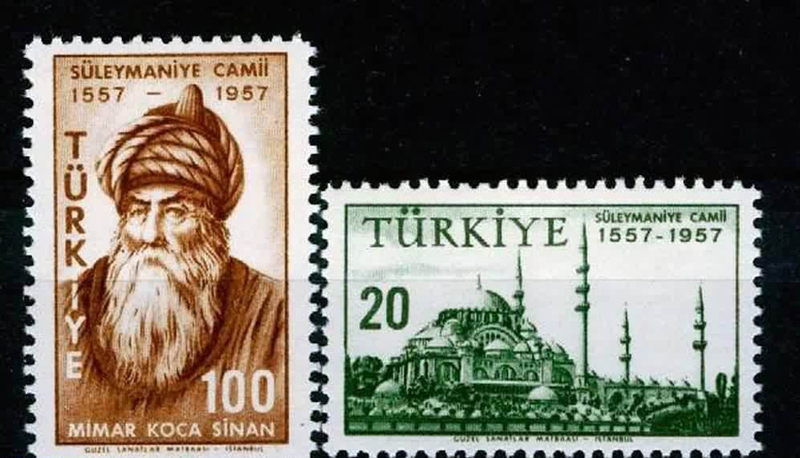 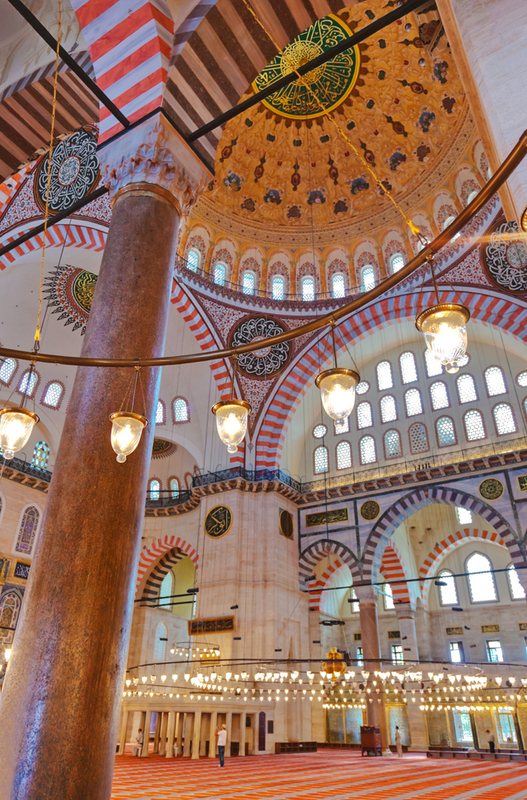 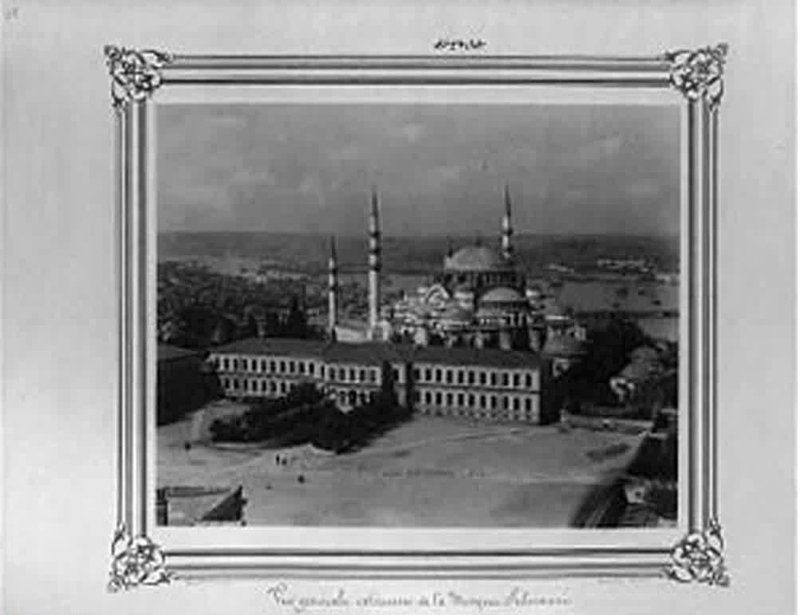 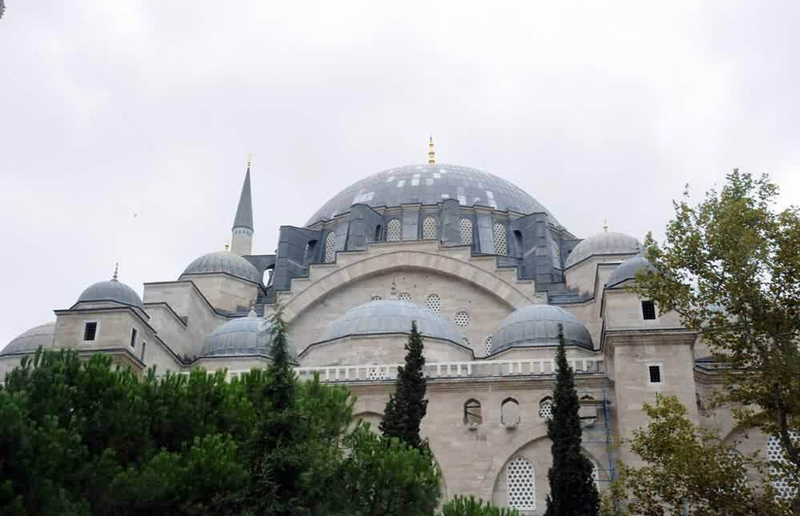 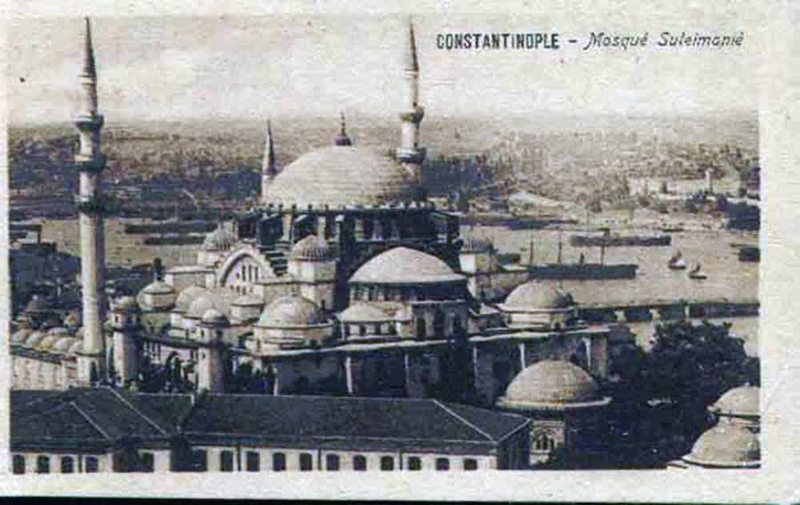 As one of the works of the famous Imperial Architect Sinan, Süleymaniye was constructed as a part of the greater social complex which included a madrassa, a library, a hospital, a hammam, several schools and shops. 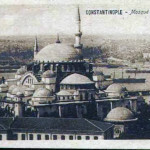 The complex is considered as the masterpiece of the architect, as well as it is one of the most important examples of Ottoman architecture. 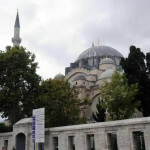 Süleymaniye complex blended Islamic and Byzantine architectural elements. 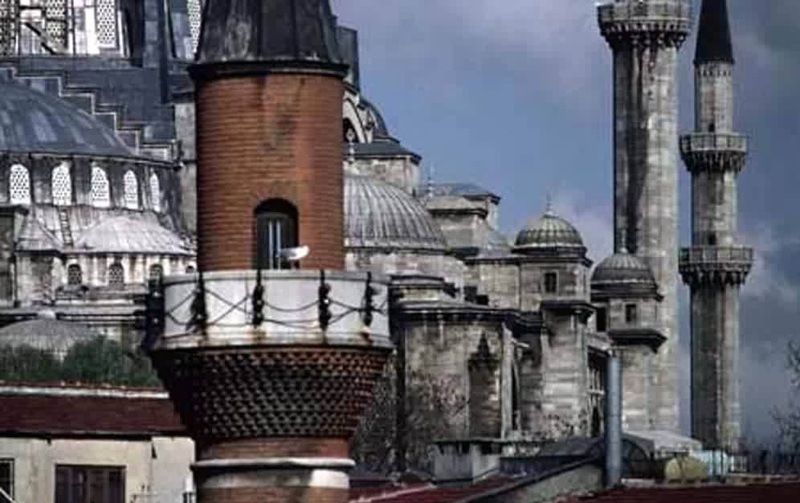 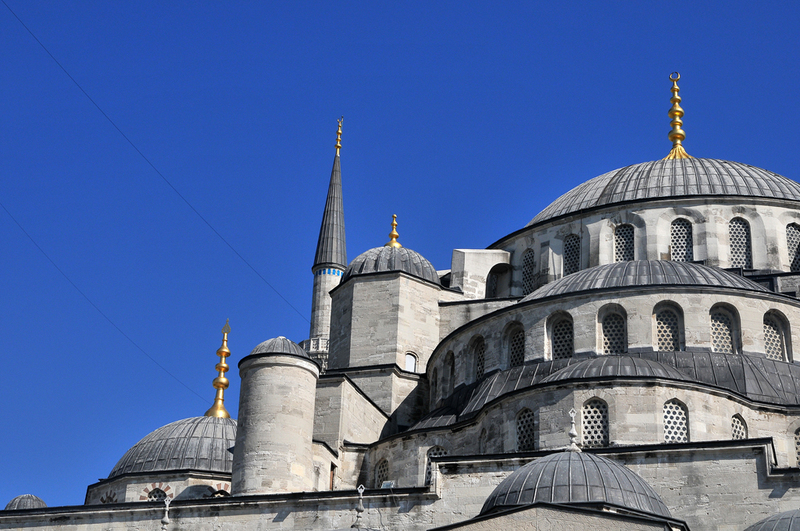 It combines tall, slender minarets with large domed buildings supported by half domes in the style of the Byzantine church Hagia Sophia. 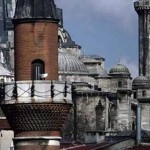 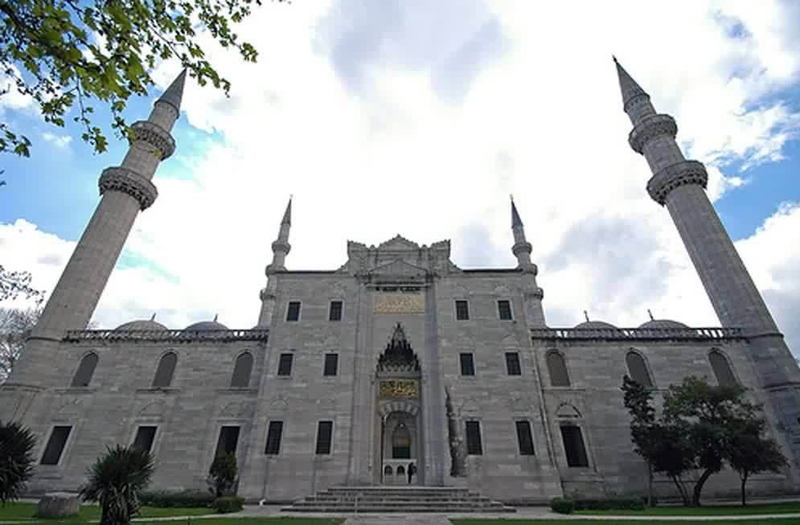 The Süleymaniye was damaged by a fire in 1660 and was restored by Sultan Mehmed IV. 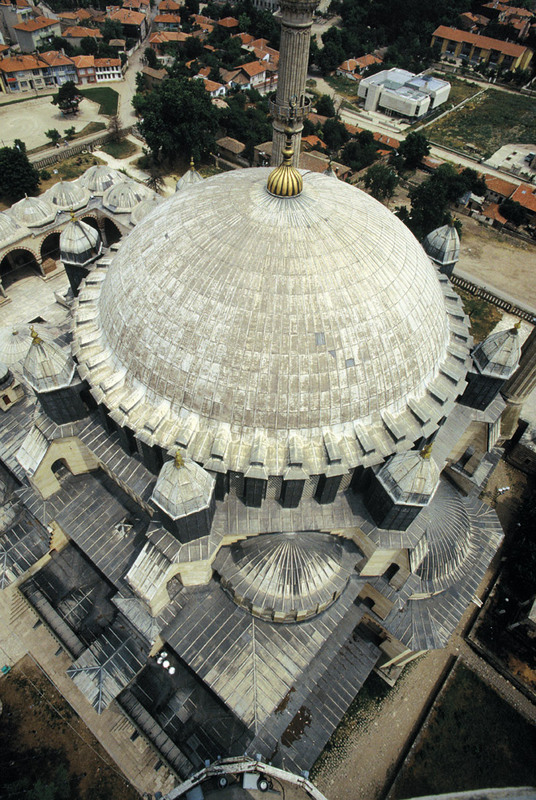 The dome collapsed partially again by the earthquake of 1766. 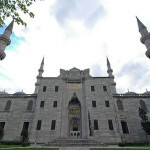 The mosque is preceded by a monumental courtyard (avlu) on its west side. 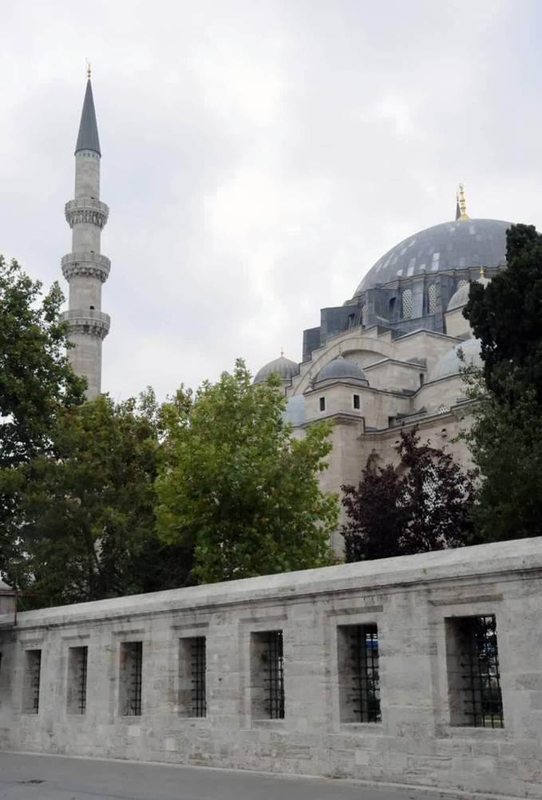 The courtyard at the Süleymaniye is of exceptional grandeur with a colonnaded peristyle with columns of marble, granite and porphyry. 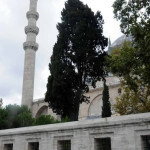 At the four corners of the courtyard are the four minarets. 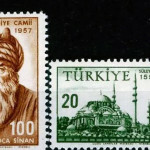 This is a number only allowable to mosques endowed by the Sultan. 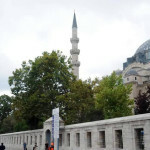 The minarets have a total of 10 galleries (şerifes), which by tradition indicates that Süleyman I was the 10th Ottoman Sultan. 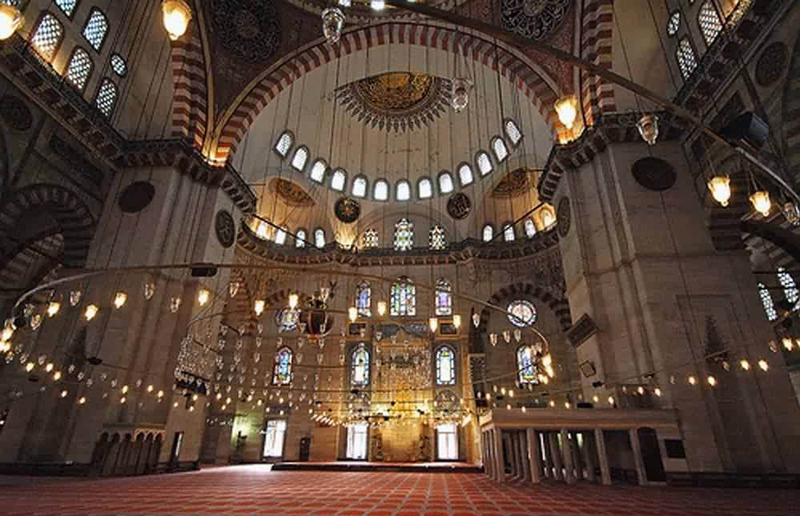 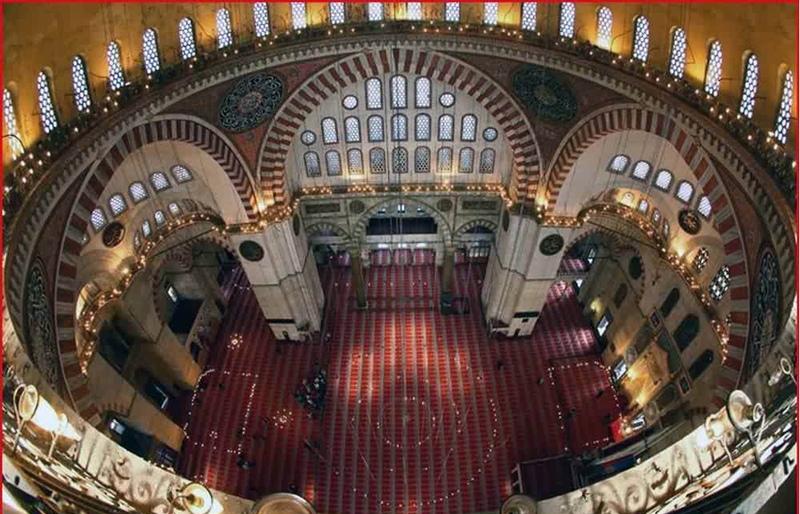 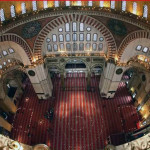 The interior of the mosque is a single vast space. 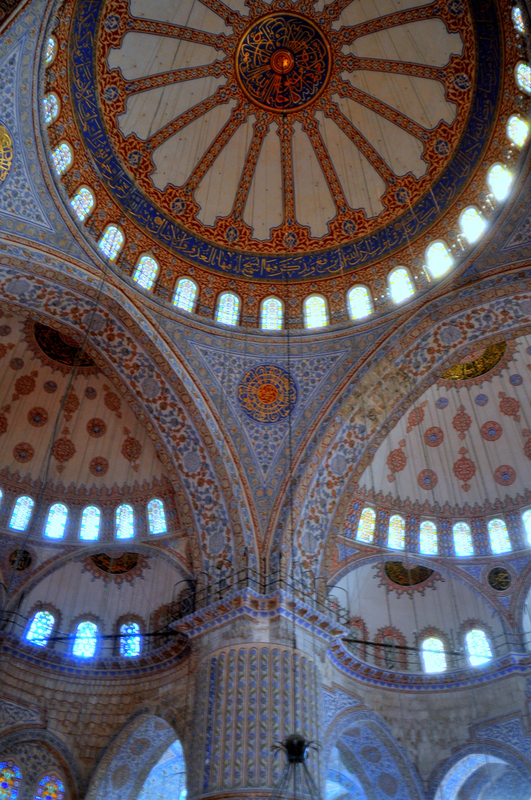 The dome is flanked by semi-domes and to the north and south arches with windows. 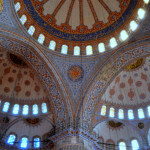 The interior decoration is subtle, with very restrained use of Iznik tiles. 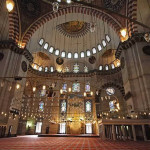 The white marble mihrab and mimbar are also simple in design and woodwork is with ivory and mother of pearl designs. 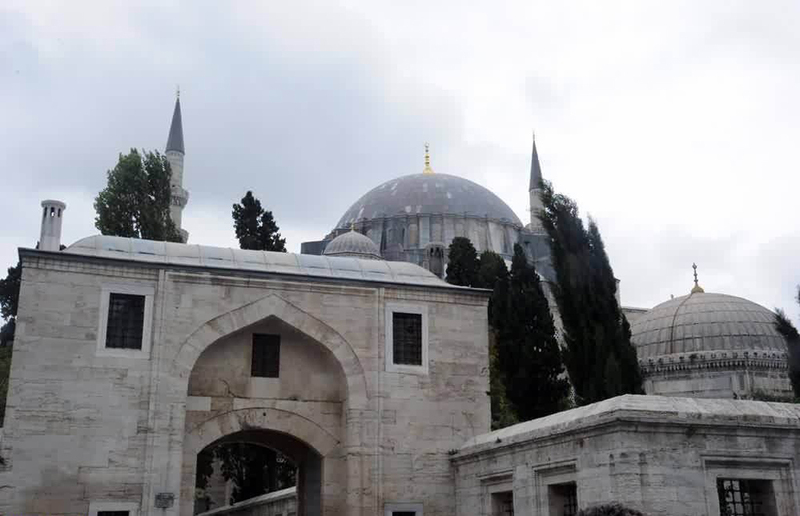 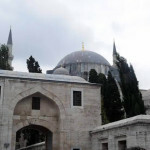 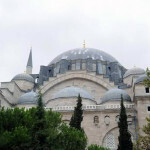 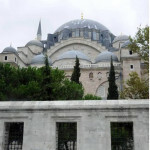 Today the Sultan is buried in a tomb on the grounds of the complex, as is his wife Hürrem Sultan (Roxelana). 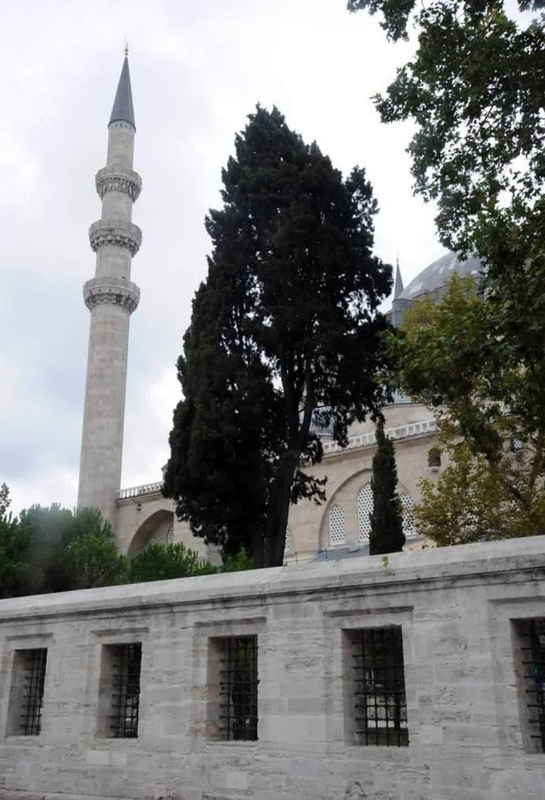 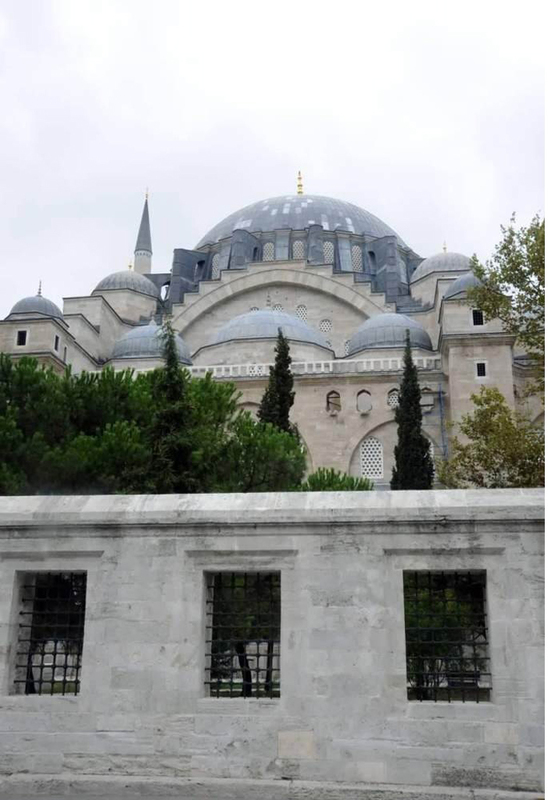 Next to the complex, there is a garden house where Imperial Architect Sinan spent his last years and buried in a tomb that he designed for himself before his death. 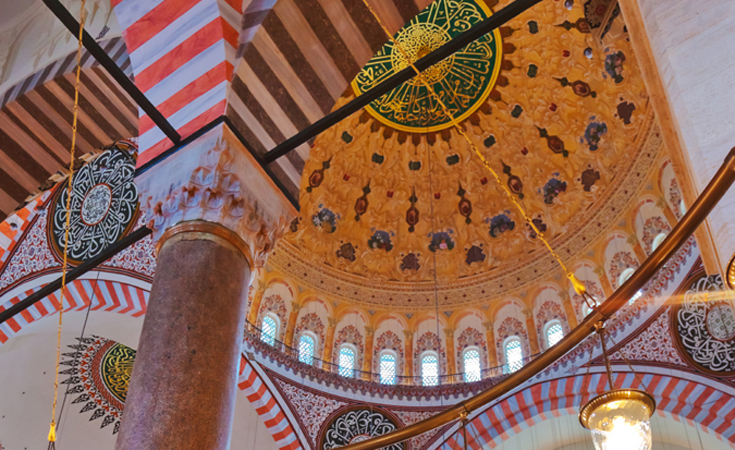 While it is known for being less decorative than other similarly sized mosques, it is one of the must-see sights in Istanbul. 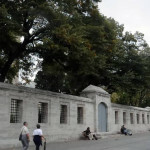 Taksim: Take one of those shuttle buses for Taksim and get off at the Museum stop: 35C Kocamustafapaşa – Taksim, 32T Cevatpaşa – Taksim, 61B Taksim – Beyazıt, 82 Topkapı – Taksim, 87 Edirnekapı – Taksim. 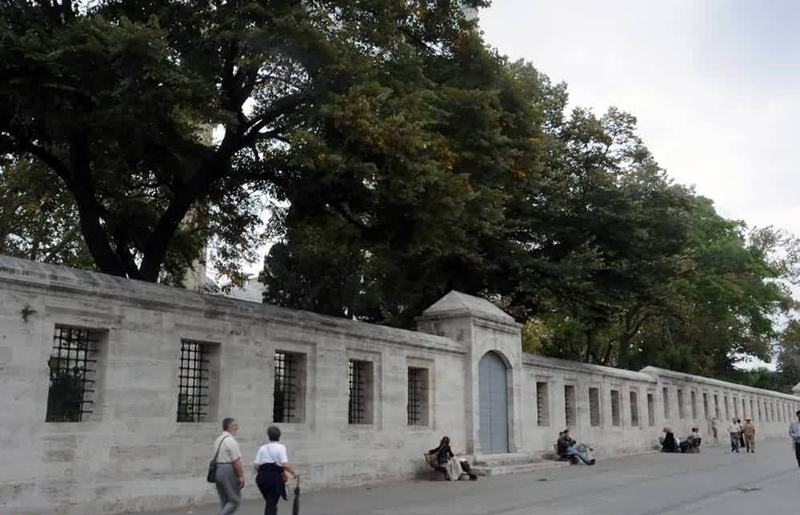 Atatürk Airport: Take the 96T Atatürk Havaalanı – Taksim bus and get off at the Museum stop. 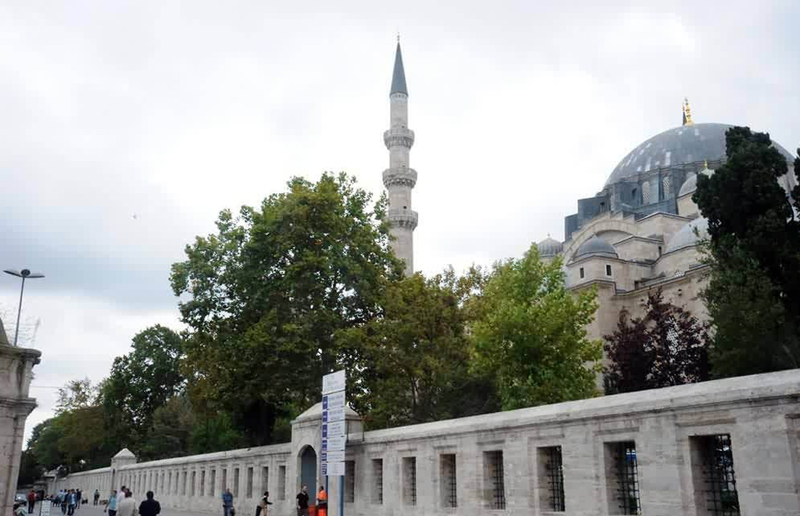 Also, you can take the M1 Aksaray – Havaalanı shuttle bus to get off at the Aksaray stop and take a short walk. 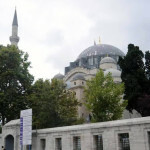 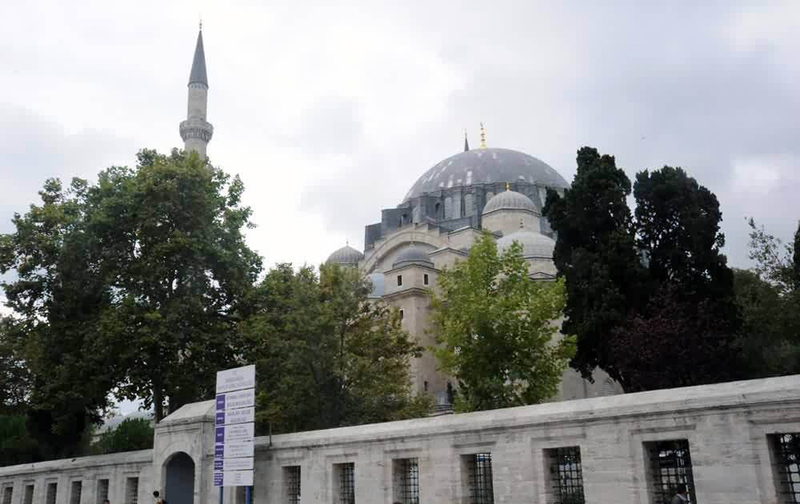 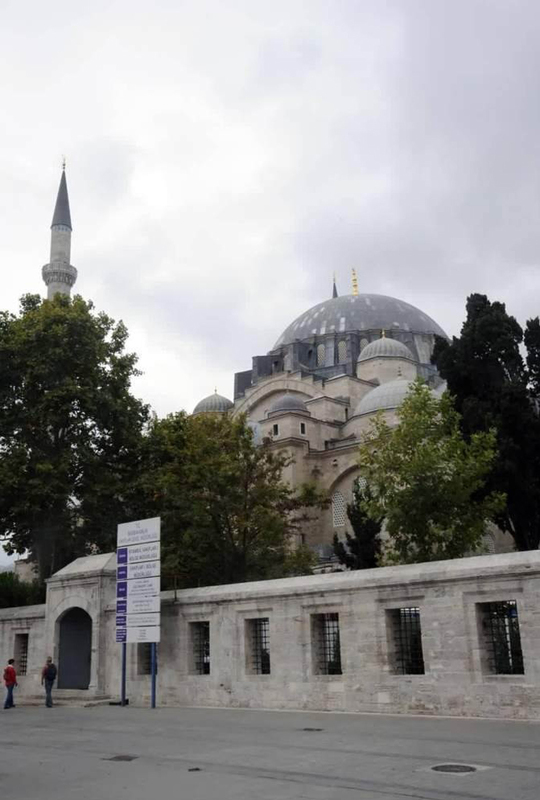 Blue Mosque Area: Take the T1 Zeytinburnu – Kabataş tramline for Zeytinburnu and get off at the Laleli – Üniversite stop where it is within walking distance.